​The Netcare 911 helicopter emergency service (HEMS) introduced to serve both KwaZulu-Natal and the Western Cape late last year, has considerably bolstered emergency medical care services across these provinces and has already proved life-saving for many patients involved in accidents and other medical emergencies. “Having completed more than 100 medical emergency and hospital transfer missions since it was first introduced four months ago, the Netcare 911 Coastal HEMS has met a critical need for a dedicated aeromedical service in KwaZulu-Natal and the Western Cape,” says Shalen Ramduth, Netcare 911’s director of business development and support services. “Based at Virginia Airport in Durban and Cape Town International Airport and using powerful twin-engined Bell 222 UT helicopters that are equipped as intensive care units, the Netcare 911 HEMS units are providing our teams with the means to rapidly deploy to emergencies anywhere within the two provinces,” he adds. Netcare 911 advanced life support paramedics and experienced helicopter pilots form part of the HEMS teams on all missions. 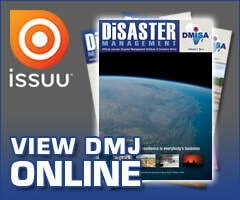 The aircraft are equipped with the latest diagnostic, ventilation, monitoring and other life-support equipment. In addition to being on standby for medical emergencies, the aircraft are also being used to expedite the safe transfer of vulnerable intensive care patients, including critically ill infants, between hospitals for specifically required treatment. 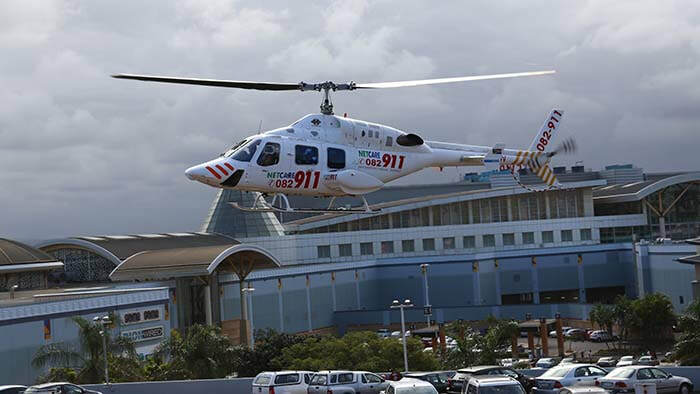 The Netcare hospital division’s coastal regional director, Craig Murphy, says the aeromedical service has “already proved invaluable” in serving patients within both the metropolitan and outlying areas of KwaZulu-Natal and the Western Cape. “Netcare 911 has successfully operated a HEMS service in the Gauteng region for over a decade, where it has a most outstanding track record. We as the Netcare hospital division are therefore most grateful that Netcare 911 has extended this service to the country’s coastal regions, where there are all-too-often immense distances involved between the geographic location of emergencies and treatment facilities,” notes Murphy. “By reducing the transfer time from the scene of life-threatening medical emergencies to hospitals, the HEMS units are improving the prognosis of patients and assisting in saving lives,” adds Ramduth. Netcare 911 KwaZulu-Natal regional operations manager, Gary Paul, points out that, unlike a road ambulance or other emergency vehicle, a helicopter has the advantage of being able to fly directly to its destination and over traffic or other obstacles that may potentially delay road ambulances. “In addition, the helicopters have the ability to take off and land vertically, which means that they can be used to access patients in remote and difficult to reach locations, such as for example where traffic is gridlocked,” explains Paul, who has formed a part of the paramedic team on a number of Netcare 911 aeromedical missions. According to Paul, in another more recent case, the HEMS team was able to quickly and safely transfer a critically ill patient who required an urgent specialised cardiovascular procedure, from Netcare The Bay Hospital on the North Coast to Netcare uMhlanga Hospital near Durban. 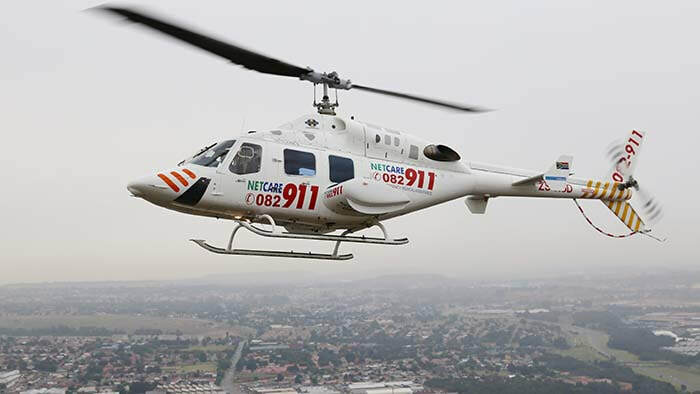 Lauren Lowenstein, Netcare 911 regional operations manager in the Western Cape, reports that the Cape Town based HEMS unit has also been in high demand since the inception of the service late last year. Among the many missions conducted, was the evacuation and pre-hospital care of a quad bike accident patient in the Cederberg, and scorpion sting patient, who went into anaphylactic shock, in Calvinia in the Northern Cape. In addition, several missions have been undertaken to Beaufort West in the Great Karoo, and a highly vulnerable cardiac arrest patient was successfully transferred between a hospital in Vredenberg on the West Coast to Netcare Blaauwberg Hospital, where they were successfully treated. Ramduth points out that any HEMS service is a limited resource, and can therefore only be used when specific medical criteria are met. All missions are therefore carefully assessed and authorised according to internationally approved medical call-out protocols and dispatch guidelines. “When a HEMS service such as this is correctly deployed, however, it adds an important dimension to emergency medical care, giving patients the best possible chance at recovery. The helicopter’s ability to rapidly deploy emergency pre-hospital care teams to even the most difficult to reach areas, means that these Netcare 911 ‘Angels Of Mercy’ are proving a most valuable lifeline to patients in their time of greatest need,” he concludes.